Fire Ants – (Solenopsis invicta) Large colonies of fire ants can have up to 250,000 workers and if you live in Florida, you know how painful and dangerous a sting from a fire ant or ants can be! Fire ants are omnivorous and will eat meats, sweet stuff and oily or greasy food or material. If that’s not gross enough, fire ants will eat rodents, birds or even calves and other carrion. Fire ants like warm, sunny conditions… Welcome to Florida! When a fire ant stings it injects an alkaloid venom into the skin which is highly irritating to humans and animals. Fire ants can pose an extreme danger to children who can be attacked by fire ants in large numbers. Ghost Ants – (Tapinoma melanopale) Ghost ants have dark heads and thoraxes but they get their name from being pale in color on its legs and abdomen, making them difficult to see. which make it difficult to see. Ghost ant workers measure about 1.3 to 1.5 mm long. Ghost ants are related to odorous house ants and when crushed emit a smell that resembles a coconut. Ghost ants are common to central Florida and are found indoors. They like to eat sweets and are often found in kitchen and bathrooms, making them a vehicle for diseased organisms. Argentine Ants – (Linepithema humile) Argentine ants produce enourmous colonies, are light to dark brown and measure about 2.2 to 2.8 mm long. Their antennae have 12 segments. Argentine ant nests can be located in moist soil, next to or underneath buildings, around or along sidewalks or even beneath floor boards. Prefering sweets to meats, Argentine ants are omnivorous and travel in trails to find what they’re looking for. Each colony of Argentine ants can contain millions of insects and multiple queens and will eat other insects and invade your home or business. Finding and treating for these ants is a must to keep infestations under control. Big Headed Ant – (Pheidole spp.) Big headed ants range from yellow to dark reddish-brown in color. The Big Headed ant’s name comes from a particular worker called the “major” worker whose head is large in proportion to their body. A few species of Big Headed ants are known hosts of tapeworm, making it all the more important to rid your home or yard of these ants! Commonly found near the foundation of your home or business, Big Headed ants prefer to be outdoors, but will find their way indoors to find food. Carpenter Ant – (Camponotus spp.) Carpenter ants can range in size from around 3.4 to 13mm in length and the worker ant has very large mandibles! Normally, carpenter ants are black but some species can be red or yellow in color. Carpenter ants like “people” food, and other than enjoying the occasional insect, these ants like to dine on meat and sweet treats! Carpenter ants live both indoors and outdoors and if you think they’re easy to get rid of… Remember a carpenter ant can live up to 25 years old so they’re built to last. 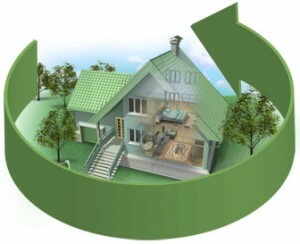 They build two types of nests which must be treated to rid your home of the infestation, which, if left undiscovered can cause major damage. Field Ant – Field Ants or (Formica) have many different species. These ants make their nests in the ground, in your lawn and gardens and are found often at parks or recreation fields or complexes. Field Ants can make large mounds of debris as they dig underground and although they don’t sting when disturbed… field ants can bite! Field ants are mainly found outdoors, but if debris is kept to close to unsecured entry points of your home, they make find their way indoors. Acrobat Ant – (Crematogaster spp.) Did you know an Acrobat Ant s normally less than 5/4 mm in length and it can raise their heart shaped abdomen over their head? Many species of Acrobat ants will expel an unpleasant odor when disturbed. Acrobat ants can nest in a variety of outdoor places as well as inside structures. Acrobat Ants will deposit debris as they excavate their nests and while foraging for food. 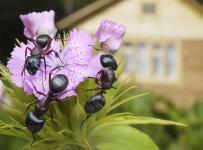 There are many more types and species of ants in Florida that Bay Area Lawn and Pest Control Services will treat for. If you are experiencing an ant problem or need extermination services in the Land O Lakes area for other pest problems, please call us to schedule pest control services in Land O Lakes. We provide pest control services in Pasco County including Lutz, Wesley Chapel, Land O Lakes, Trinity and beyond!